From fuel to utilities, education and health-care, cost of living in the UAE is rising and residents will have to adjust if they want to continue to make ends meet and save as well. It’s becoming increasingly expensive to live in the UAE. From fuel to utilities, education and health-care, the cost of living is on the rise and residents will have to adjust if they want to continue to make ends meet and save as well. Petrol prices have risen for three successive months this year on the back of rising oil prices. These increases have had a knock-on effect on transport and utility costs and ultimately the cost of the goods and services we buy. This is because higher petrol costs have been one of the main inflation drivers since the deregulation of prices in the second half of 2015. 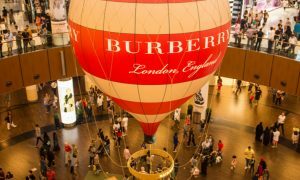 UAE consumer inflation almost doubled in January, rising to 2.3 per cent in January, up from 1.24 per cent in December, according to the Federal Competitiveness and Statistics Authority. Medical care, education and transport were all on the up – Health care by 5.66 per cent year-on-year in January, educational expenses by 4.99 per cent and transport costs by 4.36 per cent. The headline numbers sound dramatic but how does it affect you on a day-to-day level? Well if you head to your local supermarket, your basket of goods will cost more than it did this time last year. And when you fill up your car, a litre of Super 98 or diesel now costs more than AED 2 a litre, at AED 2.03 and AED 2.02 respectively. Similarly, those with children will have been alerted of imminent school fee hikes. The KHDA has allowed private schools in Dubai to increase their fees for the academic year 2017/2018 by a minimum of 2.4 per cent, up to a maximum of 4.8 per cent. This is dependent on each school’s rating. And then there’s your utility bill. Abu Dhabi expat tenants, for example, now pay a municipality fee on their utility bill, equivalent to 3 per cent of a tenant’s annual rent. While the payment started being charged in January, the fee was actually backdated to February last year. 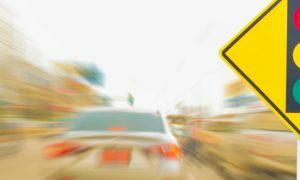 Even more recently, new traffic laws in the UAE introduced stricter penalties and fines for various traffic violations. Add in the rise of car insurance premiums, after a change in the regulations governing the market in January, and everything feels very pricey. Well it appears costs will only escalate further. Analysts expect rising utility and energy costs to outweigh any drop in rents and push consumer prices higher. Some banks are forecasting that inflation will accelerate to 3 per cent this year from 1.8 per cent in 2016. And there will be further inflationary pressure when the UAE introduces value-added-tax (VAT) in January next year. Last week a draft law was approved by the Federal National Council that will allow the tax and excise duties to be levied on selected items. The other stumbling block is rising interest rates. This month the UAE Central Bank raised interest rates by 25 basis points in line with the US Federal Reserve’s move to raise the rate by the same amount. While this benefits savers, it comes at the expense of those with debt. 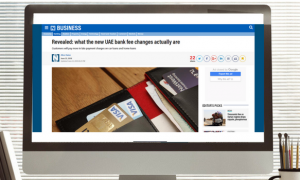 Customers with loans or mortgages that are contractually tied to the Emirates Interbank Offered Rate (the rate UAE banks lend to each other) will see changes reflected in their statements soon. There’s only one strategy that works when prices are rising and that’s to tighten your belt. Pay down your debts, reduce your outgoings and stash the cash. It’s a simple plan but it works. When the cost of living is increasing, jobs can be put at risk as some companies cannot afford to pay all of their staff. So, being prepared at a time like this would be very wise. Building an emergency fund (the standard recommendation is between three to six months of your current salary.